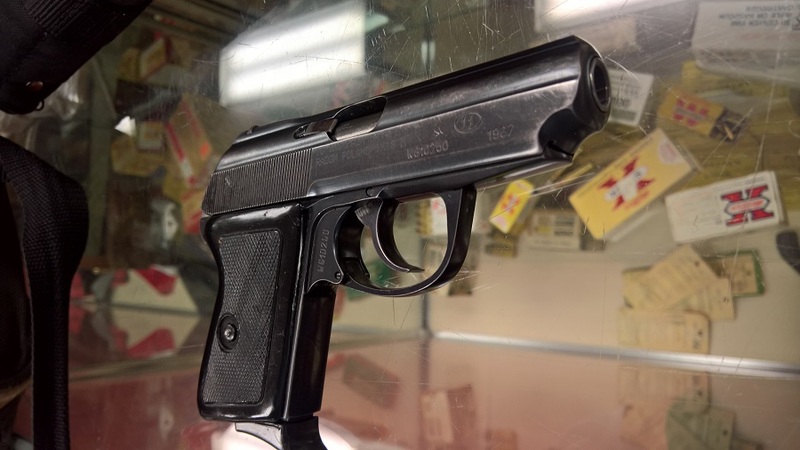 Walther PPK is one of the planet most successful handguns. 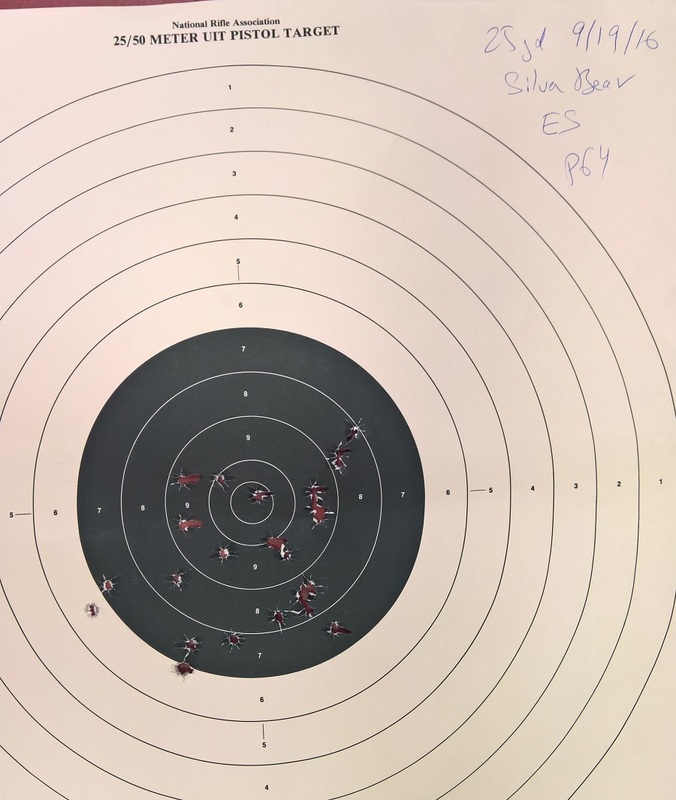 The blowback action generally precludes the use of more powerful handgun calibers - starting with 9mm and up - but it compensates for it by extreme accuracy and simplicity. Not surprisingly, the design had a huge following in the Communist Block countries. 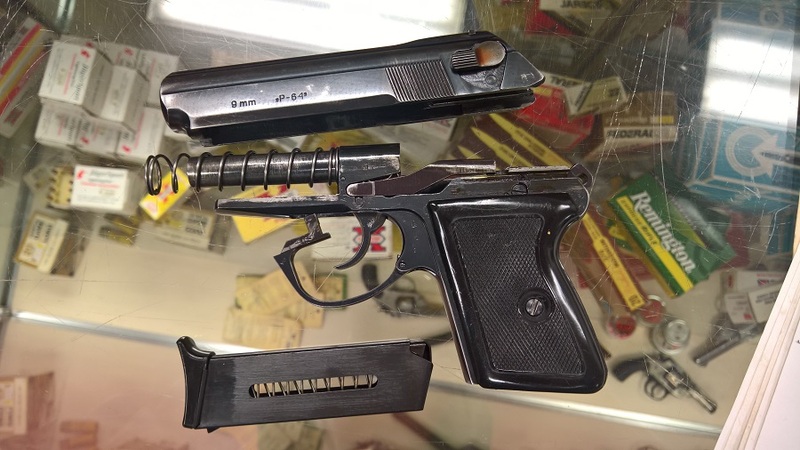 The simplicity in manufacturing was a huge deal for unsophisticated - by Western standards - industry, and soon after the war Makarov was adopted by Soviet Union as a standard military sidearm, replacing the clunky Tokarev design. 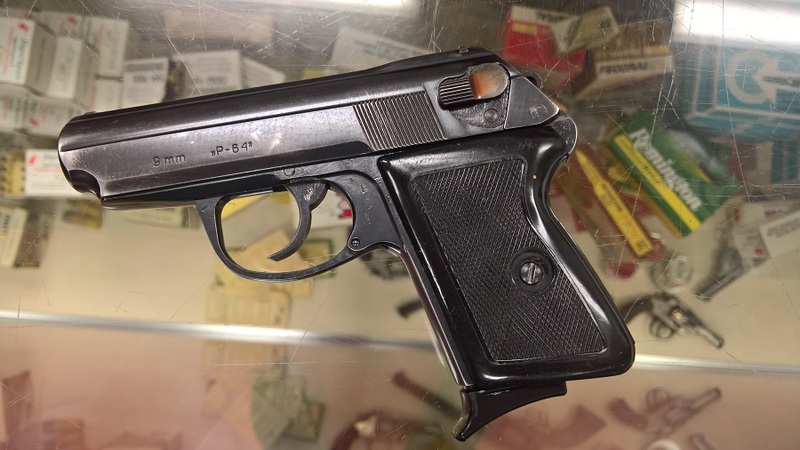 Since 9mm Luger was too powerful for the blowback action, and 380 was considered to anemic, Soviet Union came with an intermediary catrige (designed by Semin, but known as 9mm Makarov, or 9x18) for the new pistol. In actual fact, 9mm Makarov's bullet is slightly bigger than 9mm, measuring 9.27mm in diammeter. 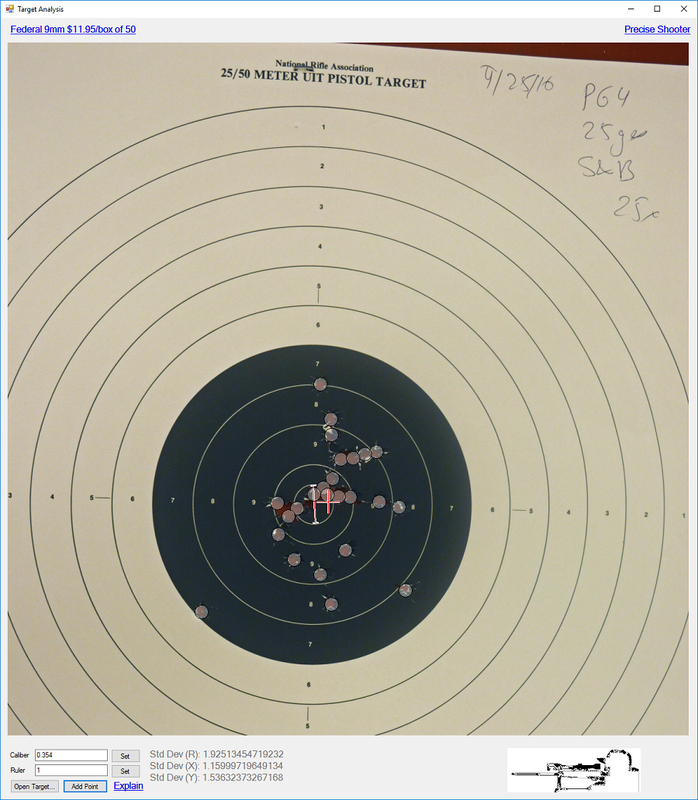 The energy is between 300J and 400J - more than 380ACP (275J) and less than 9mm Luger (500-600J). 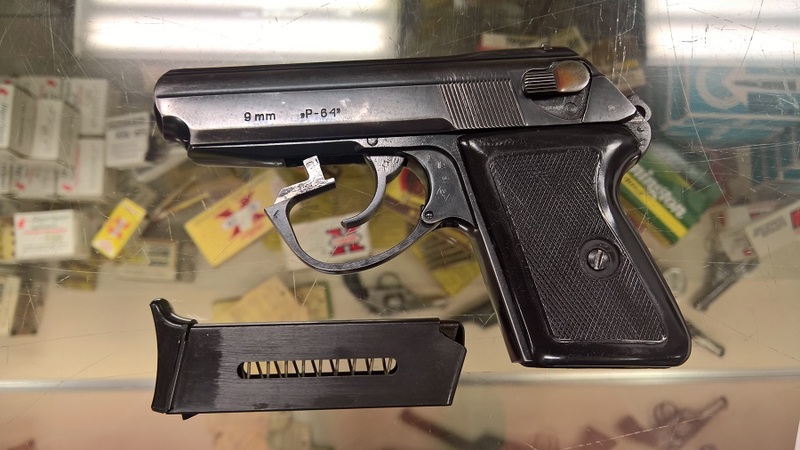 Soon after Makarov a whole bunch of comblock designs followed - Hungarian PA-63, Polish P64 and P83, Czech CZ 82. 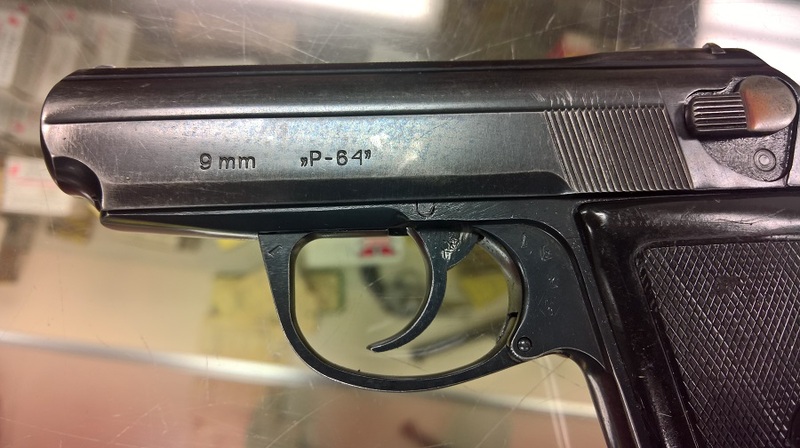 P64 are the closes to the legendary prototype - PPK - in form factor than to the Makarov. 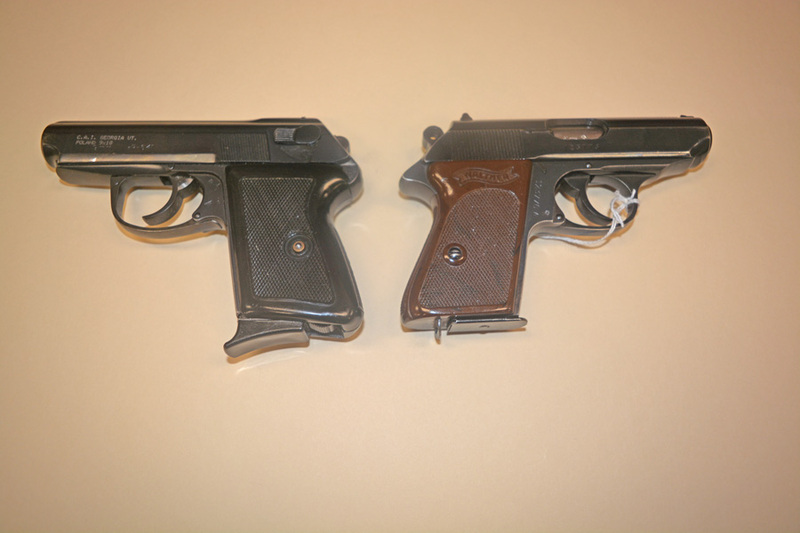 PPK and P64 weigh the same (1lb 6oz), have very similar sizes, and very similar trigger pulls, at least in single action mode - at 3.5-4lb. The gun is all steel and has a nice heft to it. 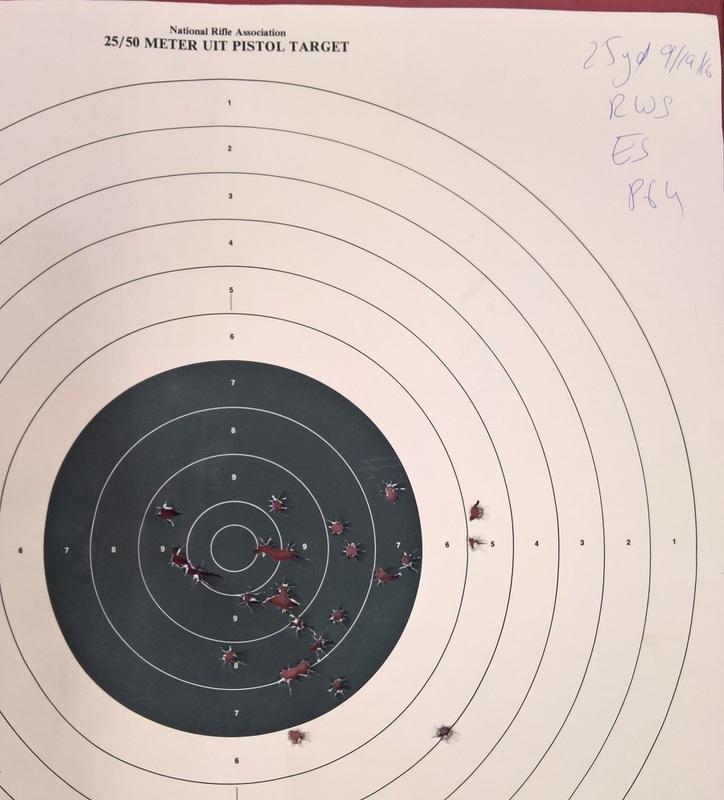 Single action trigger is fantastic - very crisp, and very light, usually below 4lb. 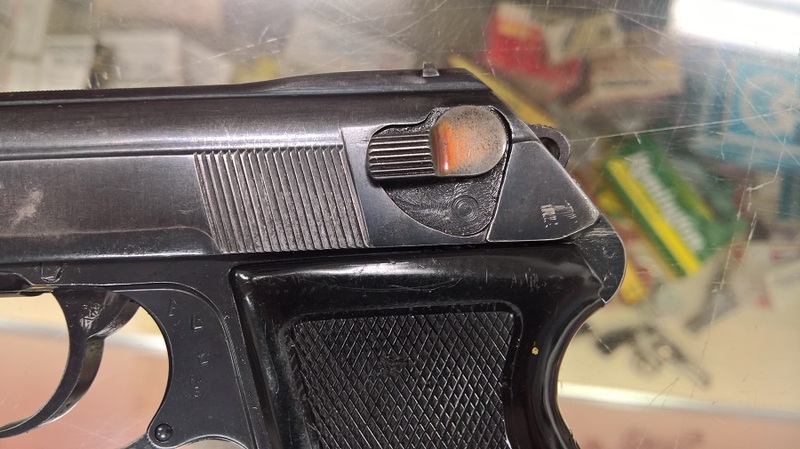 The double action trigger is tolerable on pre-1970s pistols, and is downright horrible on later builds. Wolff makes springs to address this problem, reducing the absolutely intolerable 24lb factory pull to 17lb. 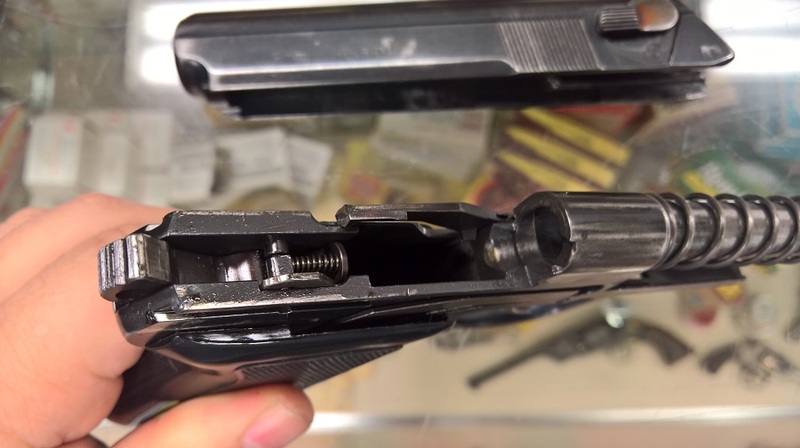 Incidentally, the modern Walther PPK/S 22lr guns have the same problem with the double action pull. 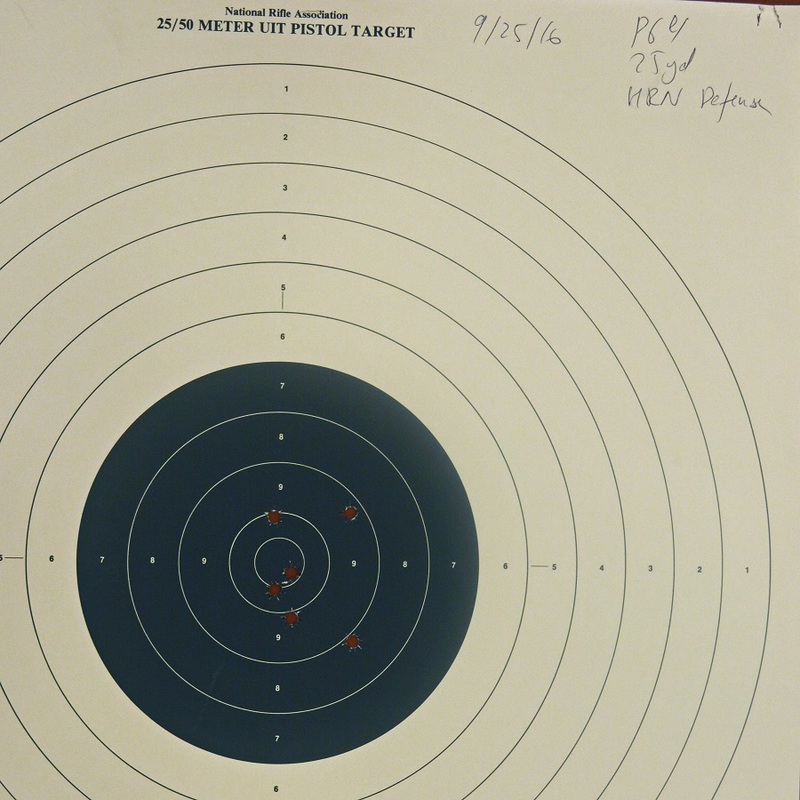 The sights are cut into the frame, thin, but visible, and set at 50 meters. 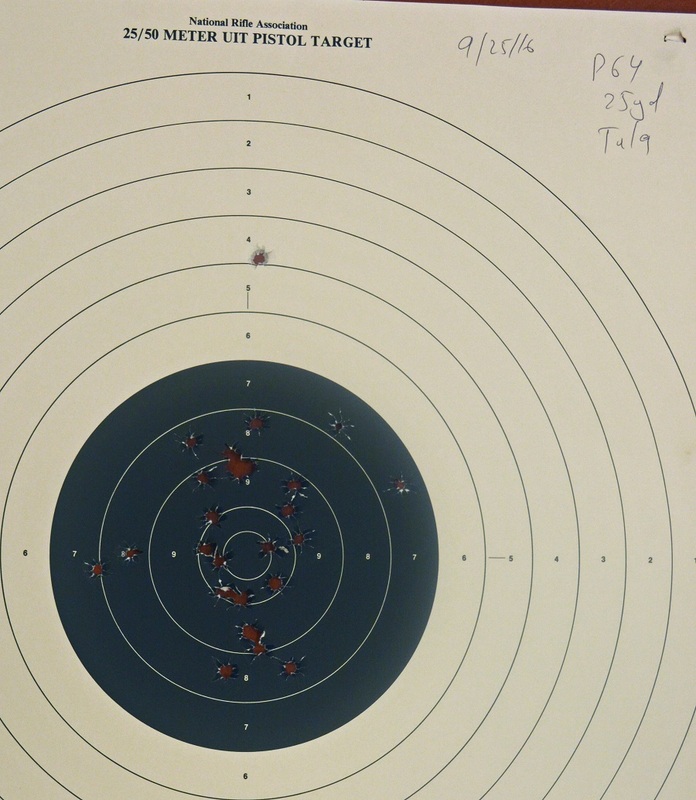 This makes for the perfectly centered shooting at six o'clock position. The pistol is smooth, thin, rounded, and clearly designed for concealability. 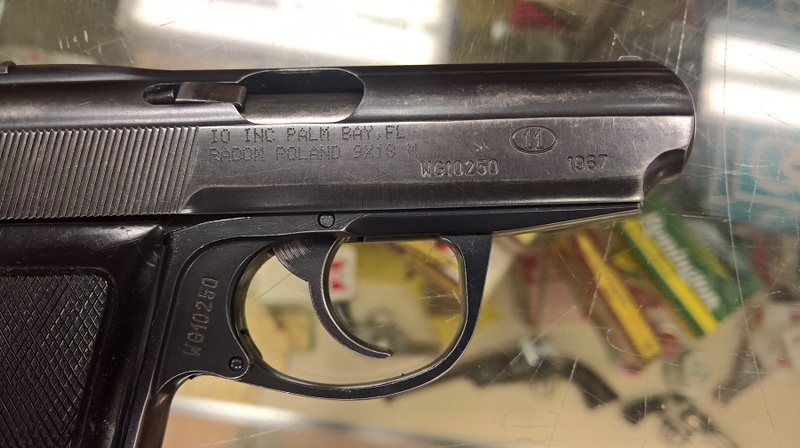 Similarly to PPK, the safety doubles as a decocker. 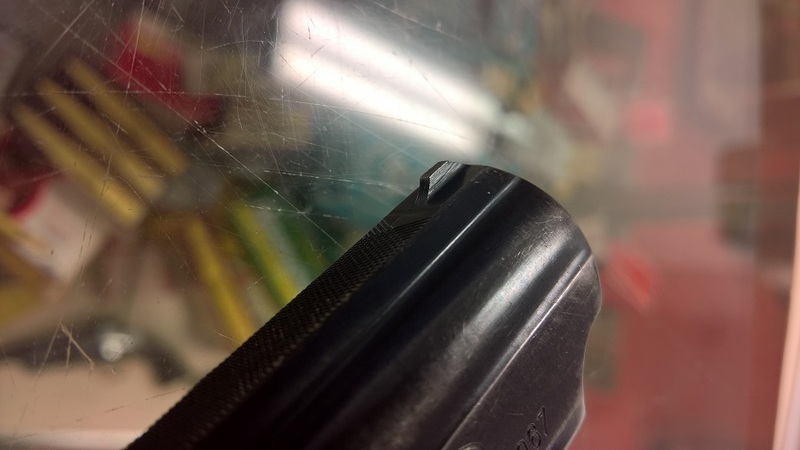 Magazine capacity is 6, and to my knowledge no one is making extenders or larger capacity magazines for the pistol. 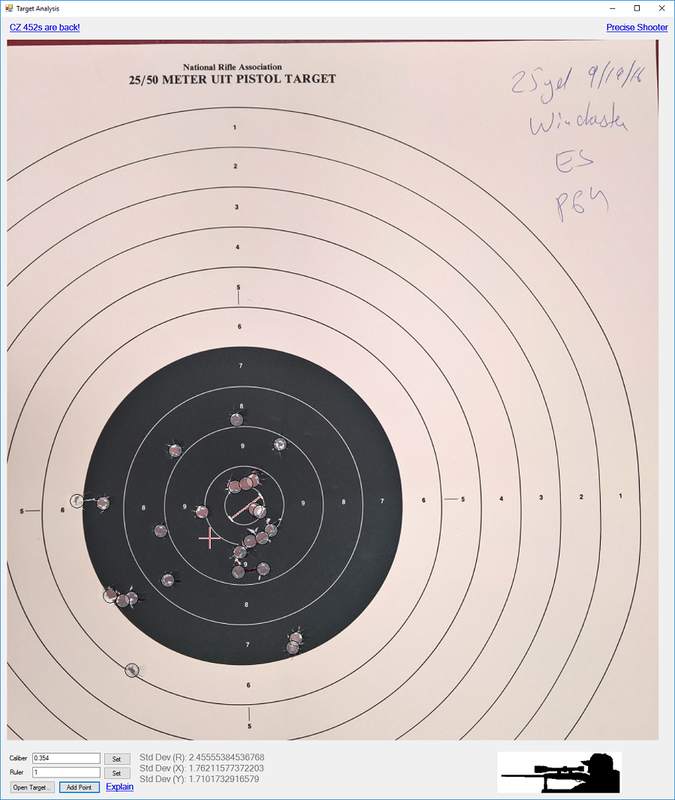 The gun you see in pictures is my "shooting" - rather than "collecting" gun (I have about a dozen of them), and so it was picked for the work exterior. 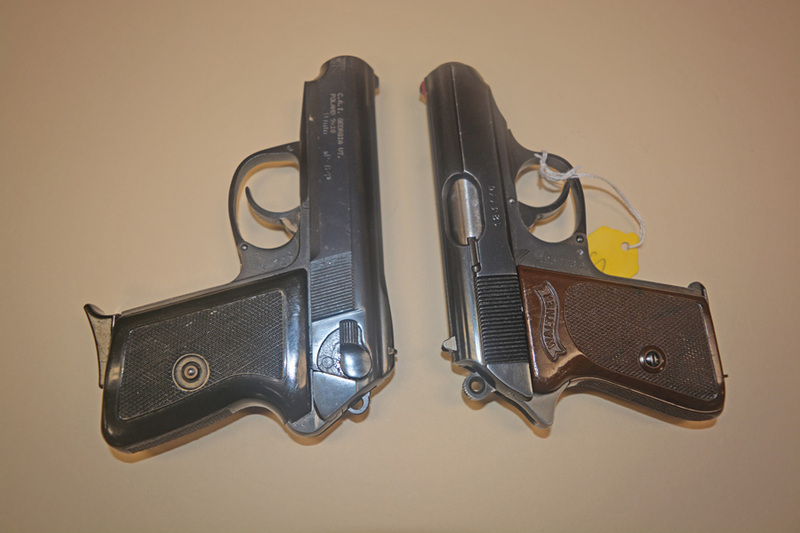 All these pistols come with like new chromed barrels - even the most worn ones were carried some, but not shot. 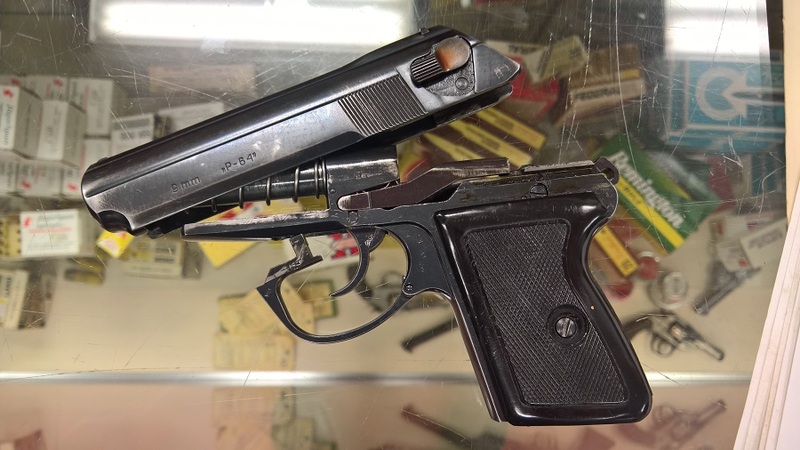 The gun disassembles just like a PPK, very easily. 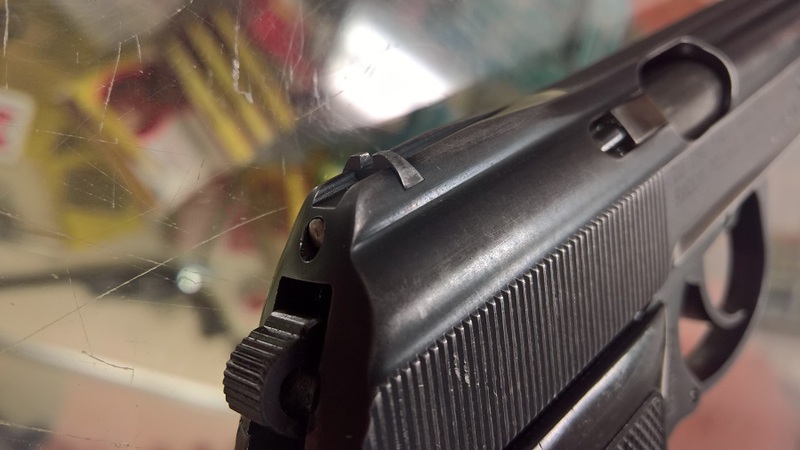 You take the magazine out and pull down on the trigger guard, move it a bit to either side of the pistol, resting it against the frame. Make sure it stays there - opened - for the next step. Pull back on the frame, tip rear end of it up, and let the slide move forward. Voila! The pistol comes apart. 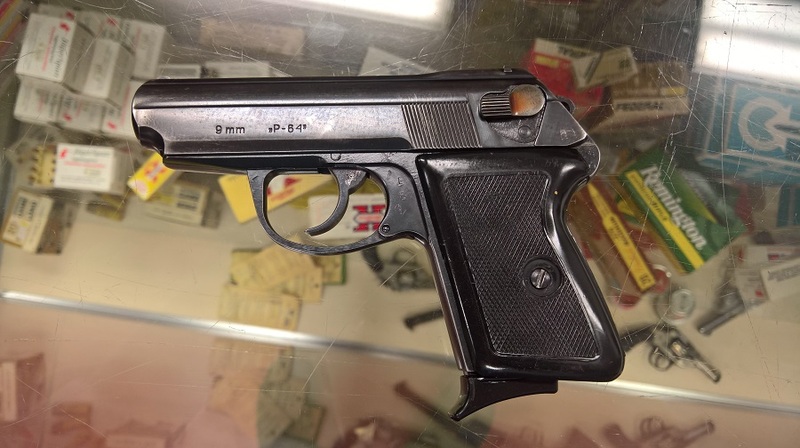 You can see that inside it looks more or less the same as Walther PPK. The reassembly is performed in the reverse order. An absolutely beautiful feature of the blowback design is the barrel that is fixed to the frame. 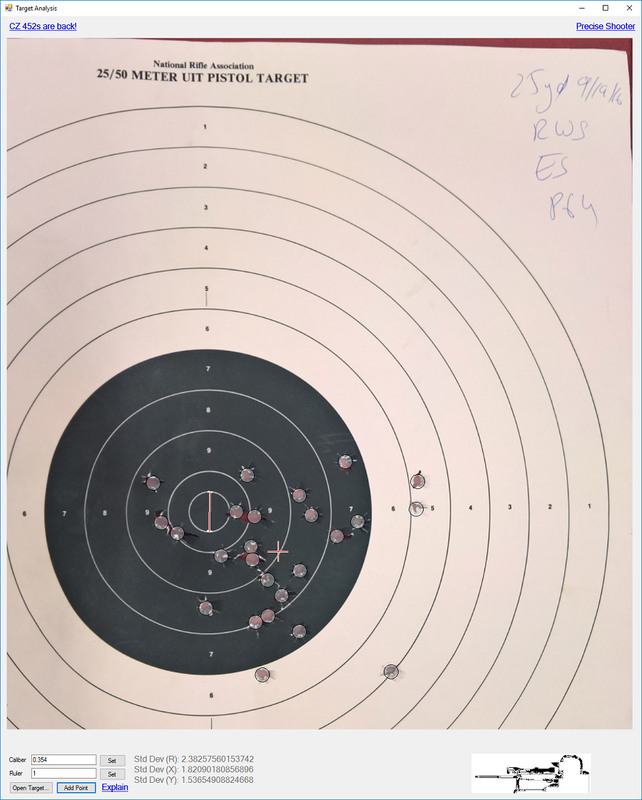 Fewer moving parts means improved accuracy - to the point where a $350 Ruger MKIII is competitive, accuracy-wide, with a $2000+ Les Baer. 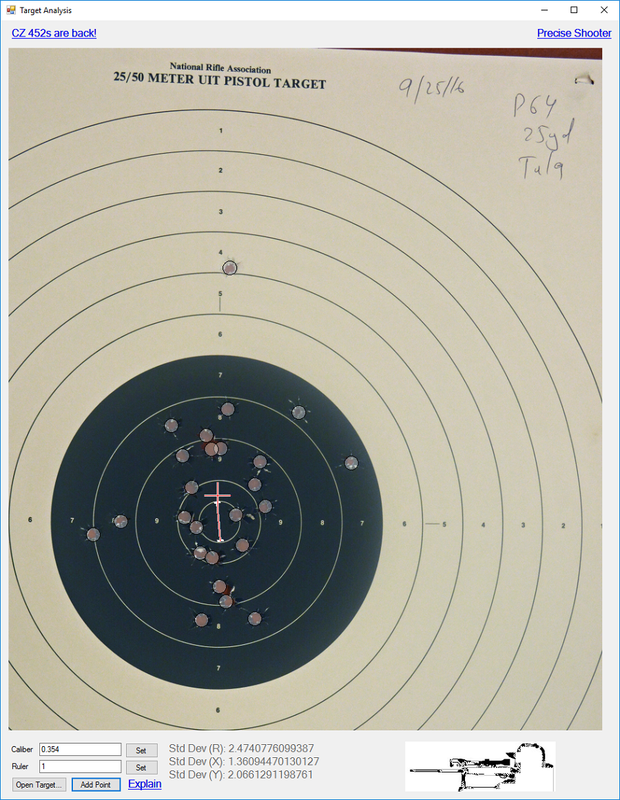 Here are a few targets shot with various ammunition in two visits to the range. 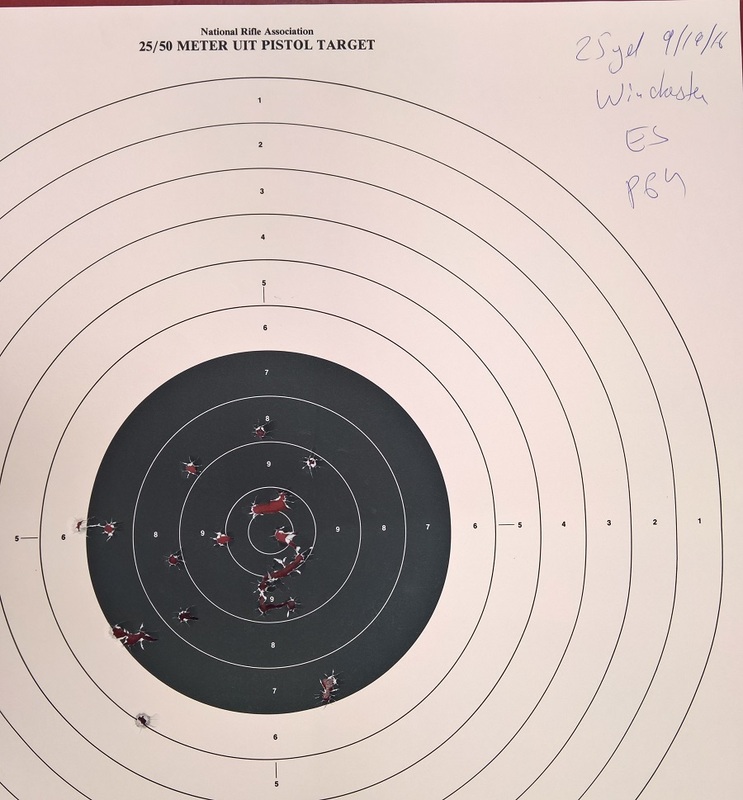 All shooting was at 25 yards, no rest, hands supported by the bench. 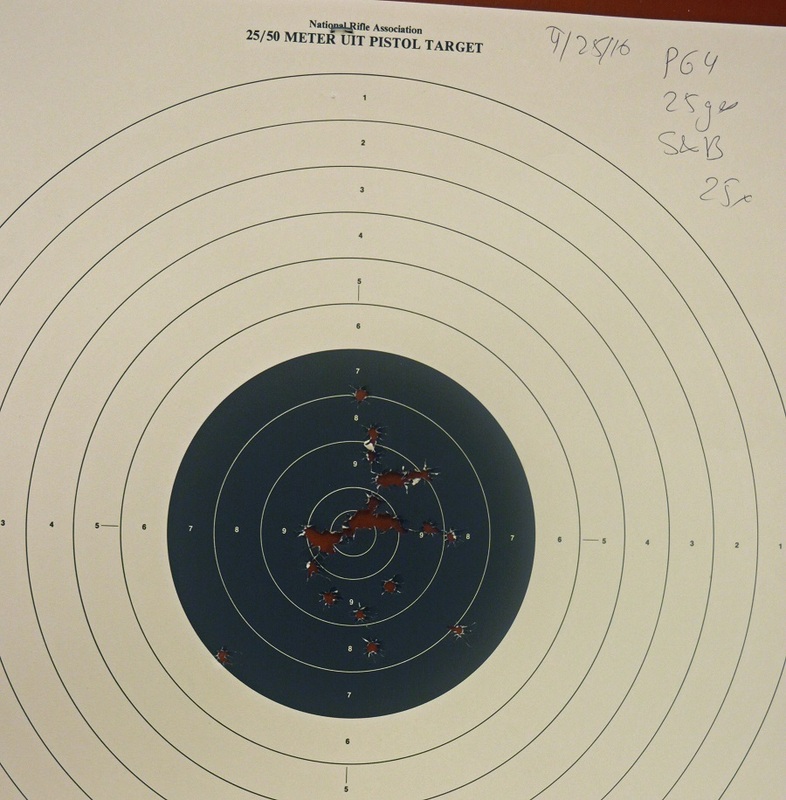 The pistol is super-snappy, especially shooting the self defense load from Hornady. But the accuracy is amazing! ...to 2.5" for most of the rest of the rounds. 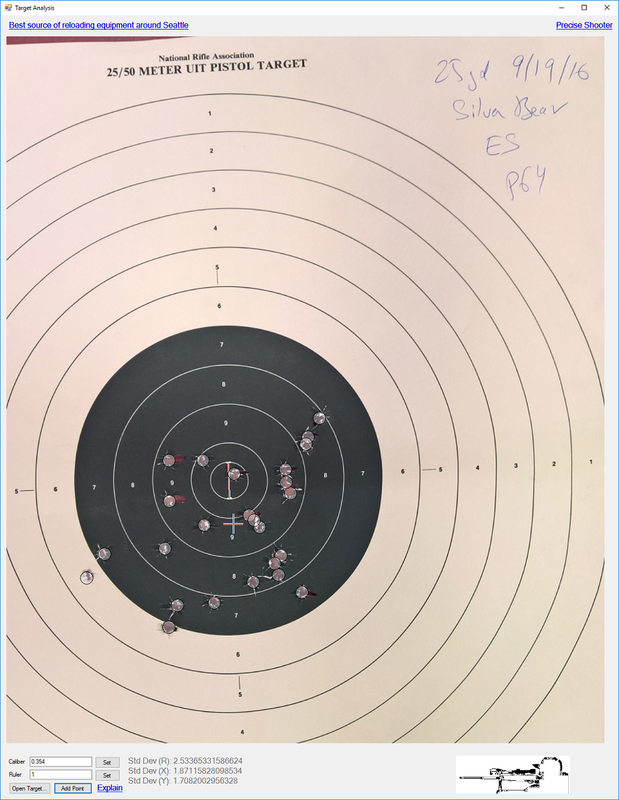 As a reminder, this means that 95% of the shots will be within 4-5" of the point of impact at 25 yards - a really nice accuracy for a tiny, tiny pistol. Overall, I cannot recommend this gun enough. It is cheap, fantastic build quality, and extremely accurate - a true diamond in the sometimes rough field of military surplus guns. It shoots well the cheap Russian ammunition, which is about the same price as the less expensive 9mm Luger cartridges. 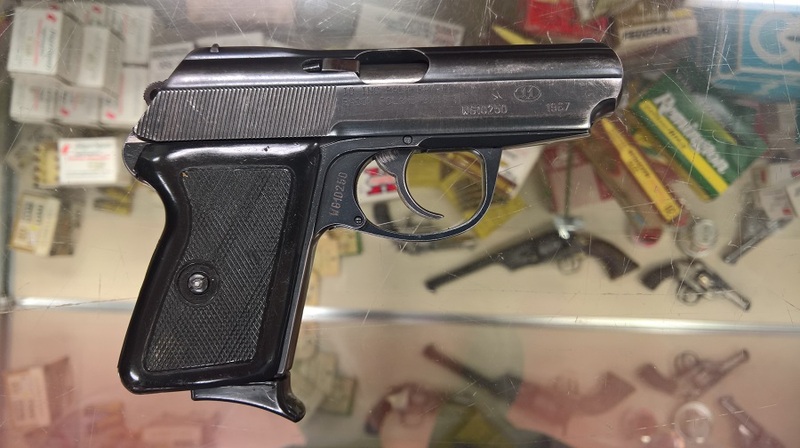 Wikipedia article on Makarov pistol. Wikipedia article on 9mm Makarov caliber. 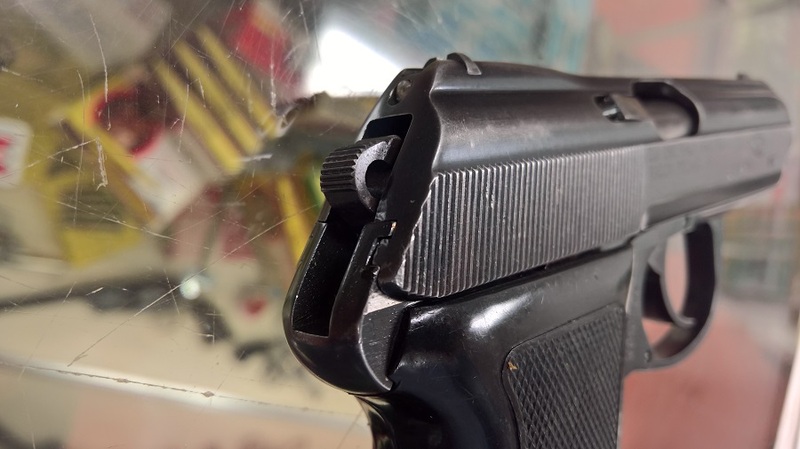 How to replace P64 mainspring for a lighter trigger pull.